When it comes to the nationwide beverage market, there aren’t many categories hotter than craft beer. Hundreds of new breweries serving thousands of new beers have made craft beer fans some of the happiest people in the country. Not surprisingly, several of the large parks and resorts have noticed this trend and have begun incorporating craft beer into their beverage program. In this issue, The Large Park Report examines the fast-growing craft beer market in the amusement industry. A view of a BaseLine Tap House. The venue is scheduled to open at Disney World’s Hollywood Studios this summer. While craft beer is just catching on among many parks, the amusement industry and beer actually have a long-standing relationship. The best example is Anheuser-Busch and the two Busch Gardens theme parks. While the parks have subsequently been sold, free beer tastings were one of the hallmarks of the Busch Gardens parks in Tampa and Williamsburg. In addition to rides and show, guests could sample various Anheuser-Busch beers at the parks’ Hospitality Centers and Brew Master Clubs. Undoubtedly, many parents were able to reduce the stress of a busy theme park day because of the Hospitality Centers. Four beers at a BaseLine Tap House location. For craft beer fans who also love theme parks, Walt Disney World has been a popular destination for many years. Meanwhile, over at Busch Gardens Williamsburg, the park continues to emphasize local Virginia craft beers at its annual Bier Fest. Plus, they regularly highlight 25-plus craft beers all season long at the Brauhaus Craft Bier Room. The Busch parks sister SeaWorld resorts also continue to build an impressive craft beer following through the Craft Beer Hubs at the super popular annual Seven Seas Food Festival. In each instance, the craft beer presence has increased every year over the last five years. In 2017, Universal Studios Florida introduced a new mobile vending unit dedicated to Florida craft beer. At the same time, Universal experienced a backlash from a variety of local craft beer advocates (such as the Florida Brewers Guild) based on their public support of Florida legislation that the local advocates thought hurt local craft beer interests when compared to large international beer brands like InBev. Decidedly less controversial is the Six Flags’ approach to craft beer. A variety of seasonal events at its large stable of parks emphasize local and craft suds. These range from the season-ending Last Call Festival in November to the popular International Food Truck & Craft Beer Festival and Food & Brew Festival concepts that promise extensive craft beer menus. From craft beer fans who also love theme parks, the Walt Disney World has been a popular destination for many years. One of the most popular spots has been the Epcot park whose World Showcase area has featured beers from around the world. 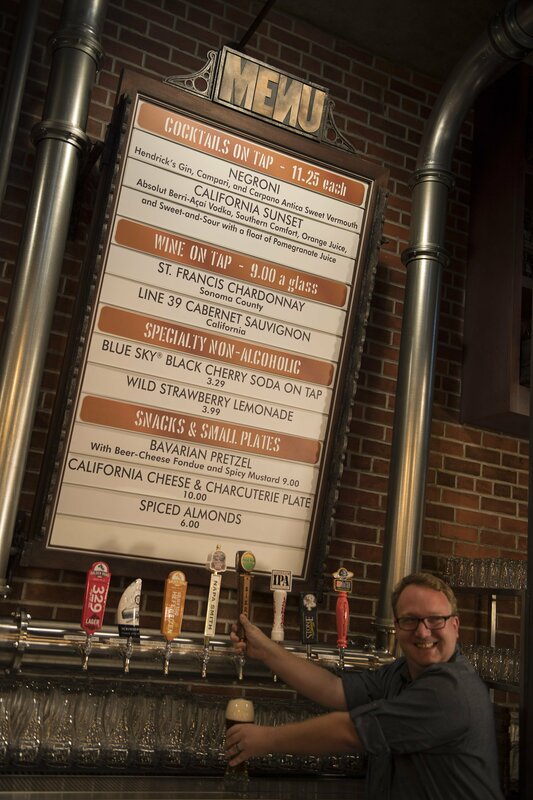 The Epcot craft beer selections would then grow each year during the fall Food & Wine Festival, spring Flower & Garden Festival and, most recently, the winter Festival of the Arts. Each of these festivals featured craft beer stations as part of their overall festival experience. Guests photographed at a BaseLine Tap House location. 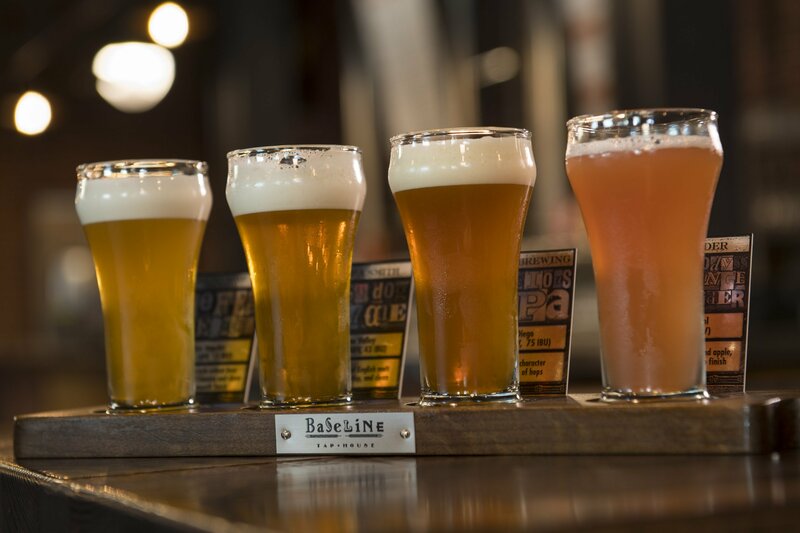 Early speculation is that this craft beer venue could be one of the most popular “Parent Stops” during the theme park experience at Disney World. 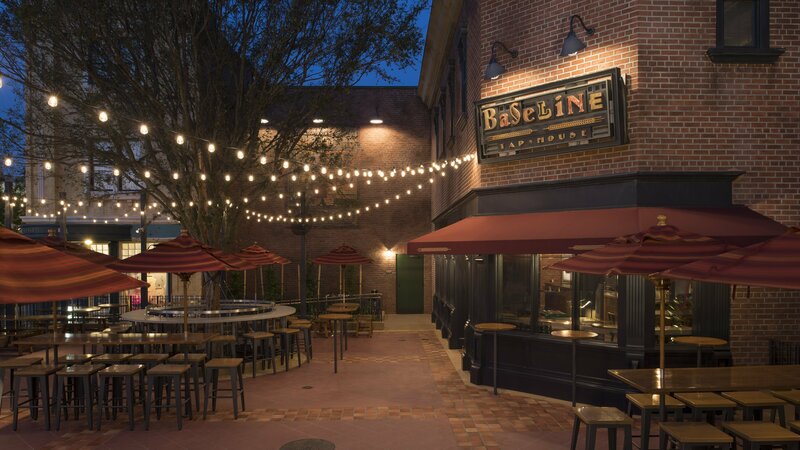 This summer, Disney World embraces craft beer on a whole new level at Hollywood Studios with the BaseLine Tap House. 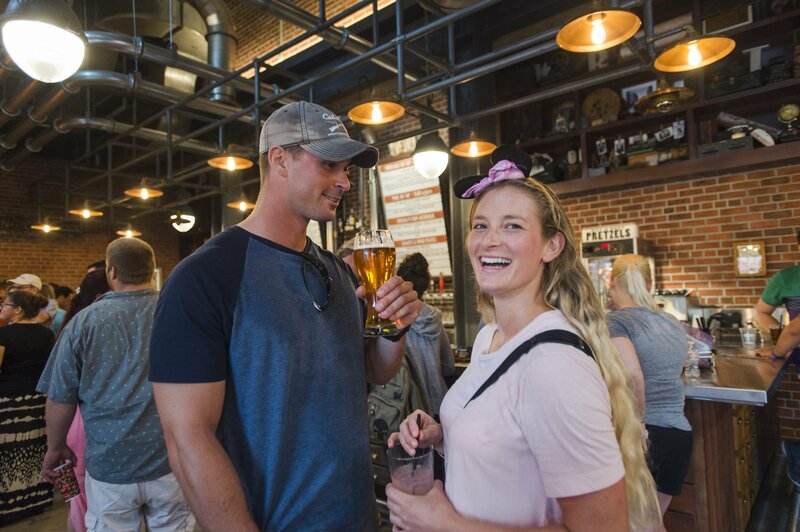 Located on the California-themed Grand Avenue, the first craft beer destination in Hollywood Studios features a wide variety of popular California craft breweries including Green Flash, Ballast Point, and Stone Brewing. Early speculation is that this craft beer venue could be one of the most popular “Parent Stops” during the theme park experience! Like all trends, the lifespan of the phenomenon is important to consider when investing in the trend. When you consider that Six Flags, SeaWorld/Busch, Universal, and Disney have all embraced the craft beer movement with both seasonal festivals and regular food and beverages locations, it appears that the craft beer trend may be more than fleeting. For amusement facilities considering whether to invest in or expand their craft beer offerings, the simple reality is considering the cost of the keg versus the premium you can charge for that pint of beer. The increasingly sophisticated craft beer customer is making that an equation that is very important to consider as you invest in short-term or long-term craft beer options for your guests. A BaseLine Tap House location. The first craft beer destination in Hollywood Studios will this summer feature a wide variety of popular beers from California craft breweries.